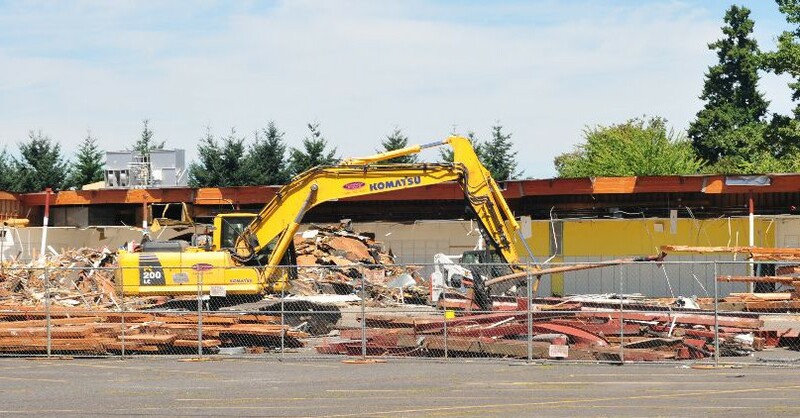 LOI Environmental & Demolition, based in Portland, Oregon, is a general contractor specializing in demolition and environmental projects for Owners, Developers, and General Contractors. They are demolishing the 120,000 s.f. Kmart store in Milwaukie. A new 56,870 s.f. CarMax Store will be built at this location consisting of sales and service areas, reception, carwash, offices and restrooms. Work to include fully adhered flexible sheet membrane roofing, skylights, rod hung prefab aluminum canopies, steel deck and joists, aluminum entrances and storefront, sectional overhead doors, EIFS and CMU exterior, interior finishes, mechanical, plumbing, fire protection, electrical, sitework, utilities, landscape and irrigation.